The Innoxec associates are seasoned executives with innovation intensive multinational corporations, small & mid-sized companies and not-for-profit organizations. They have worked in different technology-driven markets, with different innovation processes and across multiple technology platforms. They participate actively in innovation communities through professional associations, standards committees, and the organization of conferences and Foresight exercises. Innoxec was founded in 2010 as a federally incorporated company (8010234 Canada Inc). Robert has over 30 years experience in technology innovation. Since founding Innoxec and ICEage Digital Detection in 2010 he has worked with a range of small companies, universities and colleges, innovation intermediaries and government departments. He serves on several Board of Directors and is active in a number of standards committees. Prior to founding Innoxec Robert worked ten years leading innovation intermediaries where he ran over $140 million in programs involving over 200 companies and 25 academic institutions. Positions included CEO of the National Capital Institute of Telecommunications, Executive Director of the Ontario Research Network in Electronic Commerce, CEO of NanoQuébec and VP Operations of Precarn Incorporated. Before entering the public domain Robert spent fifteen years with the Nortel family of companies - Bell Northern Research, Northern Telecom Electronics and Nortel Advanced Technologies where he rose from a Member of Scientific Staff to hold a number of Director level roles in advanced technology strategic planning, advanced research networks, disruptive technologies and global external research. Robert started his career in innovation with General Electric (Canada) and Sulzer (Canada) where he had roles in light and heavy manufacturing and project management for nuclear power systems respectively. Robert sits on the Boards of Directors of NanoOntario and the Canadian Association for Security and Intelligence Studies. 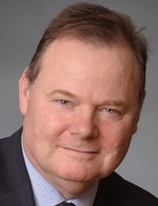 He is active in standards development for new technologies including the CSA Strategic Steering Committee on Power Engineering and Electromagnetic Compatibility (SCOPE) and ISO mirror committees in nanotechnology, additive manufacturing and innovation. He served one year as Executive-in-Residence" at the Telfer School of Management at the University of Ottawa. Robert received his Bachelor's degree in Mechanical Engineering with a minor in Business from McGill University, his Master's degree in Electrical Engineering also from McGill and his Doctorate in electromagnetic compatibility from the University of Ottawa. He is a registered Engineer in the Province of Ontario and is a certified project management professional (PMP). Steven Fraser is based in Silicon Valley and has served as an innovation catalyst with global influence for four Fortune 500 Companies (HP, Cisco, Qualcomm, and Nortel). In addition to a year as a Visiting Scientist at Carnegie Mellon University’s Software Engineering Institute in Pittsburgh PA consulting on software processes and best practices he has organized over 75 software engineering conferences, panels, workshops, and tutorials building innovation brand. From 2007 until 2013 Fraser was the Director of the Cisco Research Center in San Jose California with responsibilities for developing university research collaborations and facilitating technology transfer between researchers and Cisco Business Units. Previously, Steven was a member of Qualcomm's Learning Center in San Diego, California enabling technical learning and development in software engineering best practices. In 2005, partnering with Qualcomm’s CTO he developed and led the first QTech Forum, Qualcomm’s internal technology conference. Steven held a variety of technology roles at Bell-Northern Research and Nortel including Process Architect, Senior Manager (Global External Research), and Design Process Advisor. He prototyped and piloted team-based methodologies which he further refined while on loan to the Software Engineering Institute as a Visiting Scientist. Steven pioneered multi-point global interactive video corporate peer-reviewed technical conferences – participating sites included 32 locations in the USA, the UK, Ireland, France, Japan, Australia, and Canada. Fraser has served in a number of conference leadership roles for IEEE's ICSE, ACM's SPLASH, and the Agile Alliance's XP. With a doctorate in Electrical Engineering from McGill University in Montréal, Fraser is a senior member of both the ACM and the IEEE.